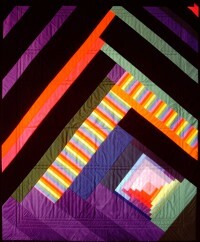 High Tech Tucks #17 is one of a large series of quilts in which three-dimensional tucks are incorporated into a pieced background. 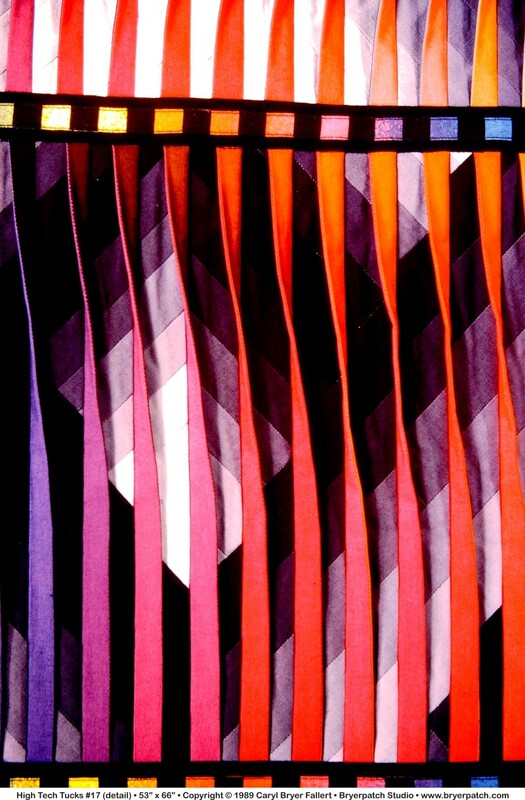 Each tuck is constructed from two colors of fabric, and each side of the series of tucks is made from a different color or value gradation. 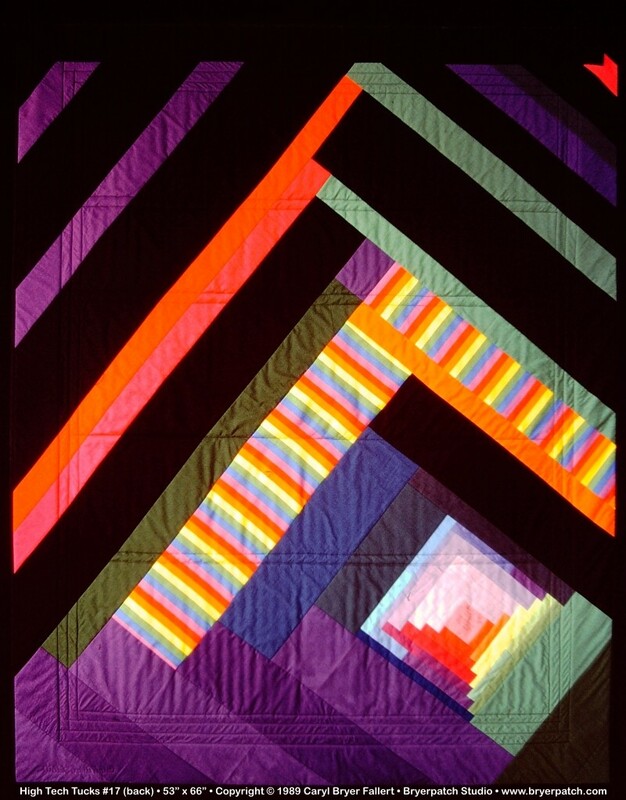 The gradations of colors and the twisting of the tucks from side to side create the illusion of movement and luminescence across the surface of the quilt. 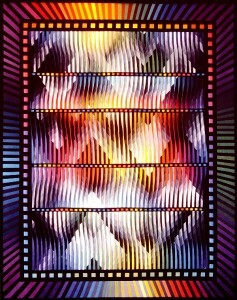 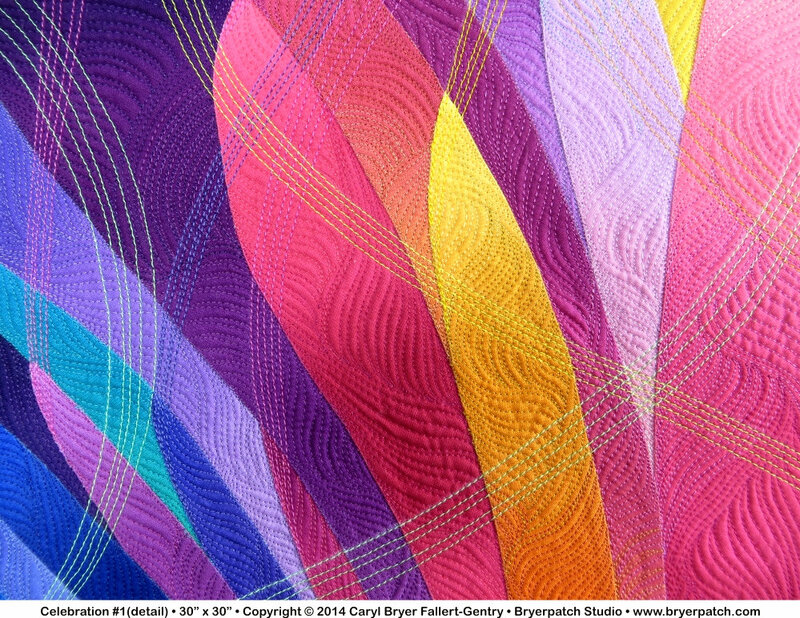 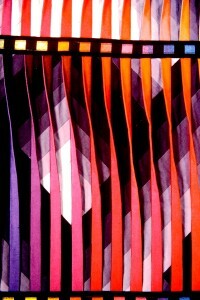 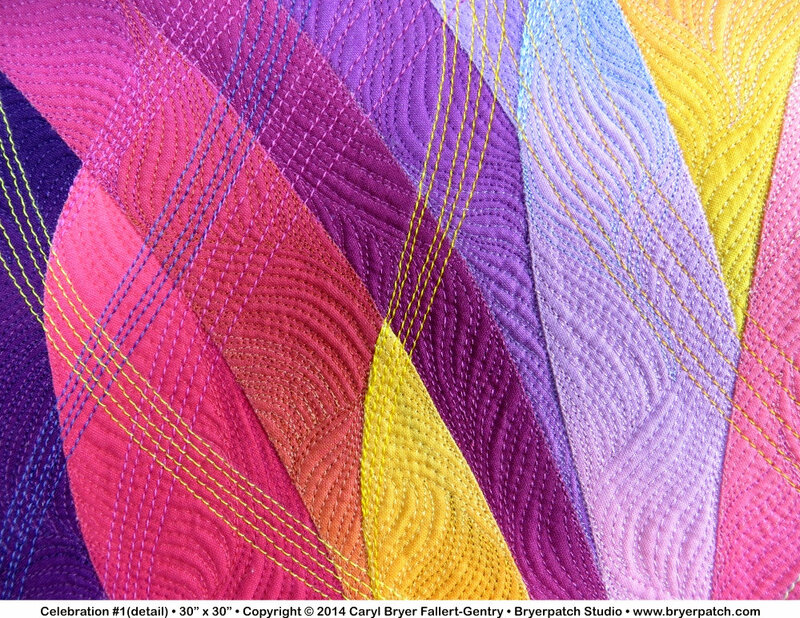 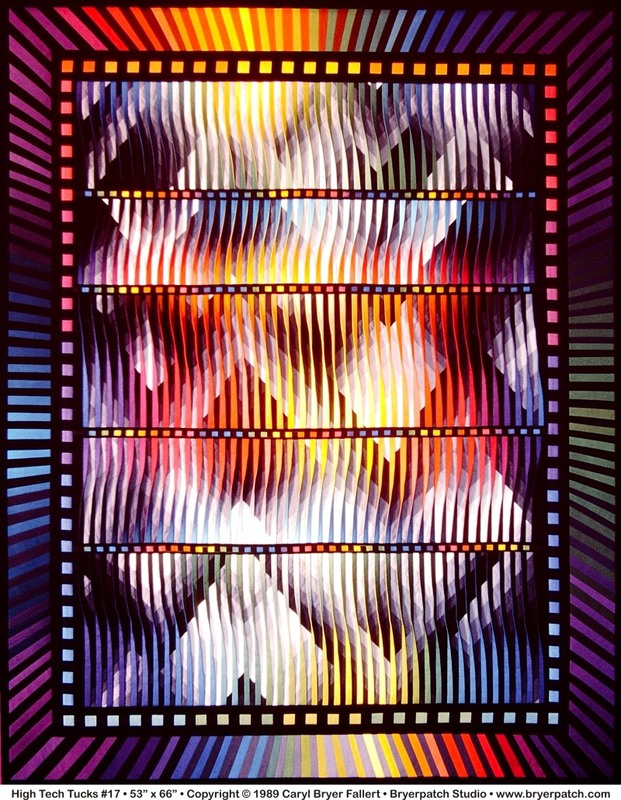 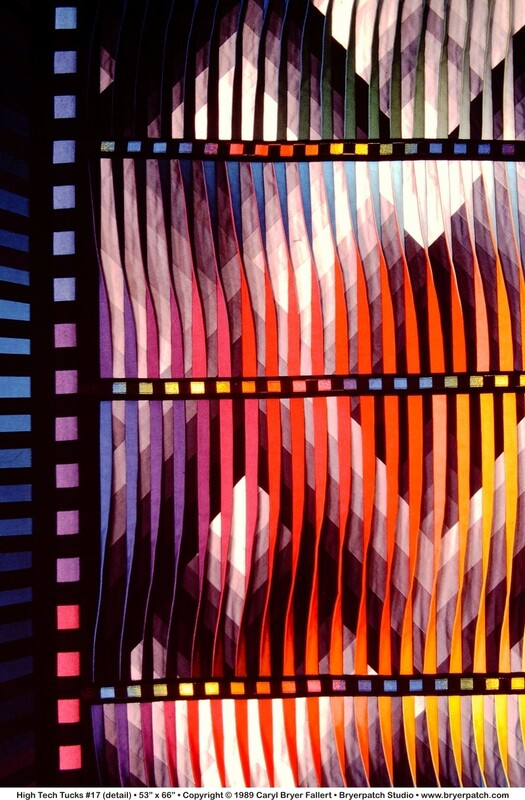 The radiating string-pieced border, which repeats the colors and values used in the body of the quilt, draws the eye inward toward the light at the center of the quilt.